Leonard Cohen has reasons to celebrate. Five of his songs are being inducted into the Canadian Songwriters Hall of Fame. As heard in this in-depth radio interview, the usually reserved artist reflects back on his life. He talks openly about his days at a Buddhist monastery, his love of wine, his failure at love and what this latest honour means for the 71-year-old artist. • Cohen, a notoriously slow writer, told the audience at the Hall of Fame ceremony: "If I knew where the good songs came from, I would go there more often." • Beginning in 2004, the usually reclusive Cohen found himself in the public eye in a series of much-publicized lawsuits and counter suits. In 2004, Cohen fired Kelley Lynch, his one-time lover and manager of 17 years, after discovering his retirement savings had been reduced to $150,000 US from more than $5 million. • In February 2006, Cohen won his suit against Lynch for $9.5 million US. Despite the ruling, Cohen may never recover the money since Lynch has ignored the civil suit as well as the subpoena issued for her financial records. • In order to pay the bills and replenish his funds, Cohen kicked off multiple projects in 2006. He published Book of Longing, his first collection of new poetry in 22 years. He also produced and wrote lyrics for his muse Anjani Thomas's CD, Blue Alert, and appeared in a feature-length documentary, Leonard Cohen: I'm Your Man. Cohen also returned to the studio to work on a new CD scheduled for release in 2007. 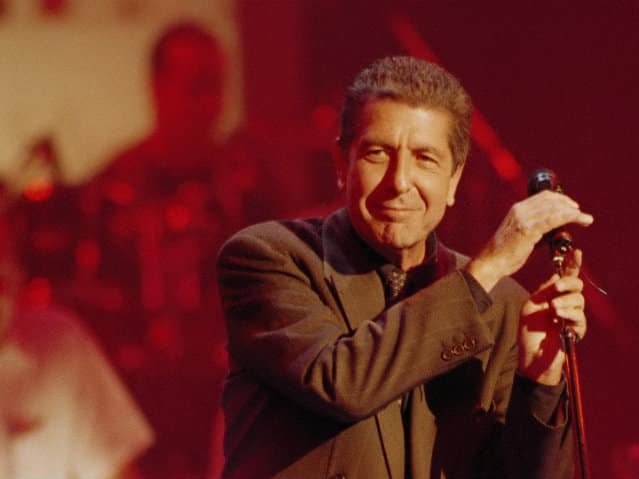 • In 2003, Leonard Cohen was made a companion of the Order of Canada, the country's highest civilian honour. He had been made an officer back in 1991. • Cohen received some unsolicited royal support when Britain's Prince Charles revealed that Cohen was one of his favourite singers. In a 2006 interview to commemorate the 30th anniversary of his Prince's Trust, a charity helping disadvantaged youths, Charles described Cohen as "a remarkable man" with an "incredibly laid-back, gravelly voice." Cohen leaves his blissful domestic life on Hydra with the intention of cutting a country and western album in Nashville.